According to Variety, Kevin Costner has joined the cast of Hidden Figures, St. Vincent director Ted Melfi’s movie about the three female mathematicians responsible for launching astronaut John Glenn safely into orbit . Taraji P. Henson and Octavia Spencer will play two of the mathematicians; Henson will be Katherine Johnson, their leader, and Spencer will be one of her colleagues. (The third mathematician has yet to be cast.) Costner will be playing the head of the space program, one of the story’s token men, which means he’ll probably be prominently featured in the trailer and on the poster as he says encouraging things to Henson and Spencer and/or doubts their mathematical prowess. 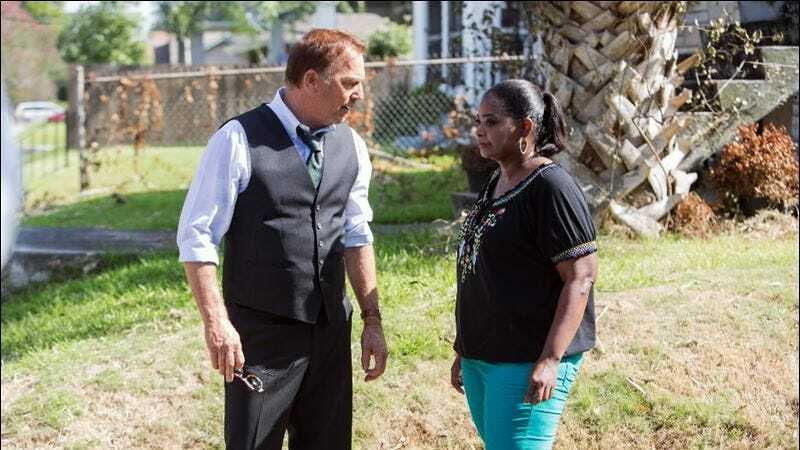 Hidden Figures will also be a reunion for Costner and Spencer, who previously worked together in Black Or White, the 2014 drama about a white guy fighting for custody of his biracial granddaughter after her drug-addict father comes back into the picture.